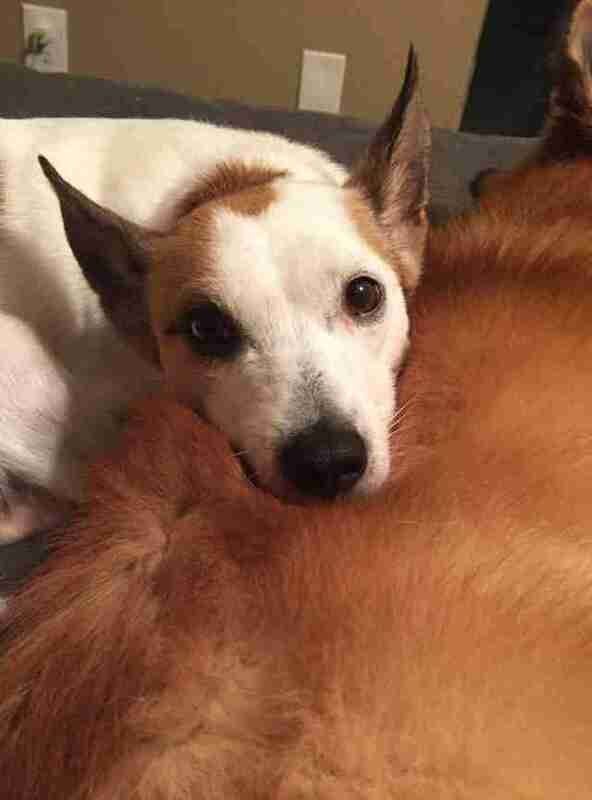 Pirate has a habit of adopting puppies who have lost their moms. 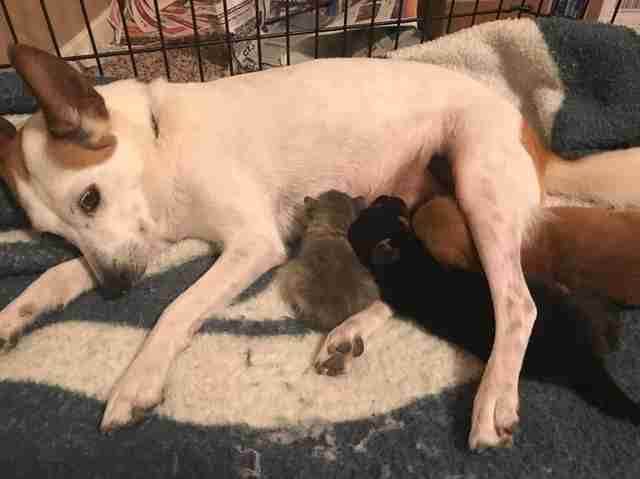 Not only does the 5-year-old dog cuddle and clean them — she also produces milk for them to nurse. 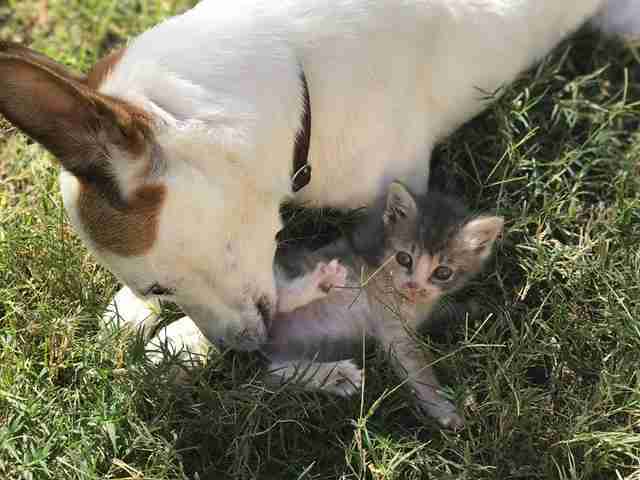 But Gabi Vannini, Pirate’s owner, never expected her to adopt a tiny, orphaned kitten. In June of last year, Pirate was rescued from a hoarder’s home in Michigan, where a total of 98 dogs and 3 cats were found covered in feces and urine. 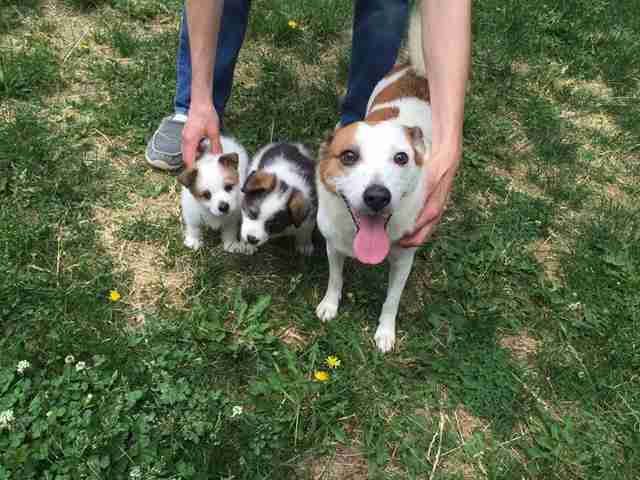 Pirate had two puppies at the time, and three of them went into foster care with Vannini. Vannini ultimately adopted Pirate, and when Pirate’s puppies grew up, she helped find them loving homes. But it didn’t take long for Pirate to start mothering again, although she’s never had puppies of her own again. Instead, Pirate started adopting the foster animals Vannini brought home from the Dallas Animal Services and Adoption Center. 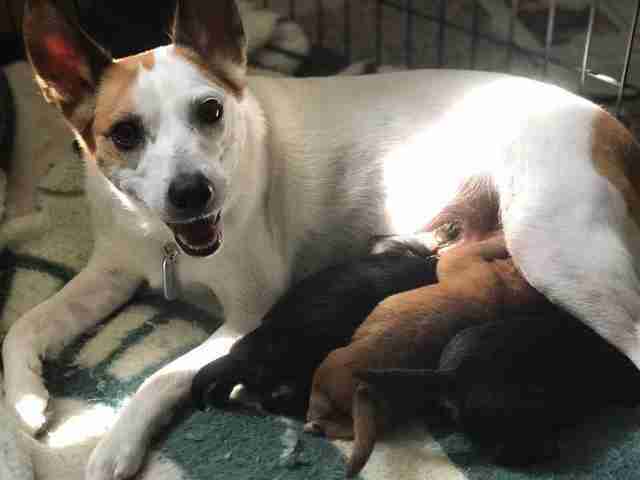 But Pirate did more than keep them warm — she started producing milk for the puppies, despite the fact she stopped nursing her own puppies over a year ago. “She was immediately like, ‘Oh yeah, you guys can start nursing. You’re my puppies,’” Vannini said. 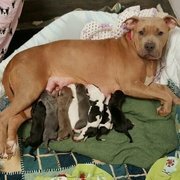 Pirate didn’t just do this once — so far, she’s adopted and nursed more than nine foster puppies, including three currently in her care. 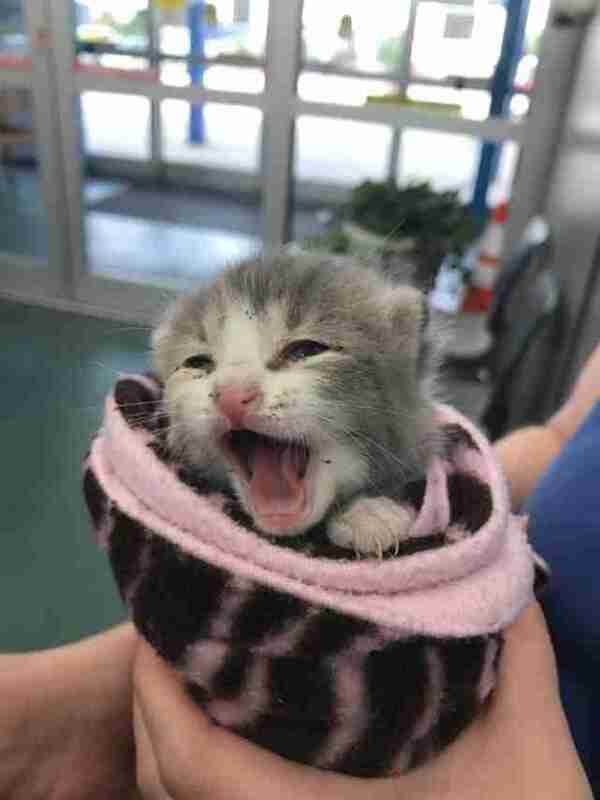 Then, last month, Vannini brought home a scrawny, filthy and very feisty 1-week-old kitten named Nebula, who’d been found living outside on her own. Vannini planned on bottle-feeding Nebula, but she felt bad about Nebula not having a family. 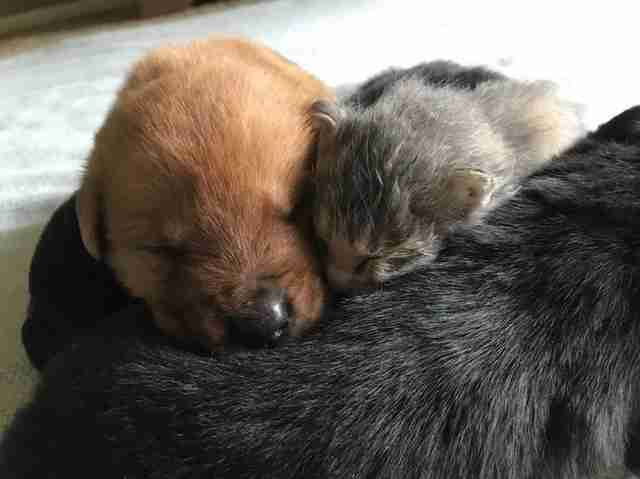 A kitten as young as her needed to cuddle up with her mom and siblings. “I thought, ‘You know, I wonder if Pirate would take in this kitten,’” Vannini said. Pirate also started giving Nebula her milk, but Vannini worried about Nebula nursing alongside the three puppies. 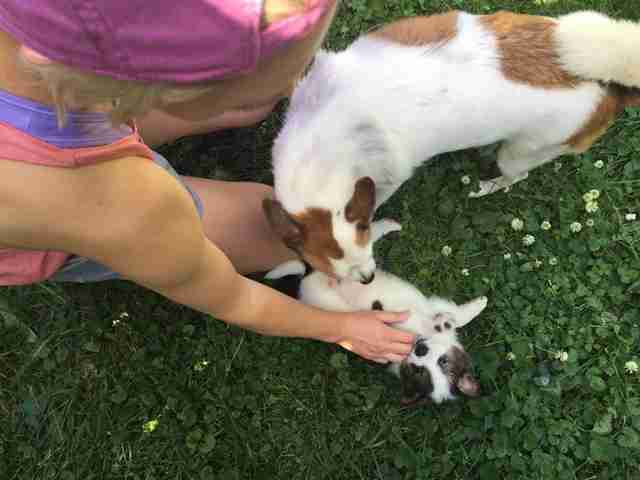 Nebula loves being around the puppies so much, she threw a tantrum when Vannini tried introducing her to a litter of kittens she recently started fostering. 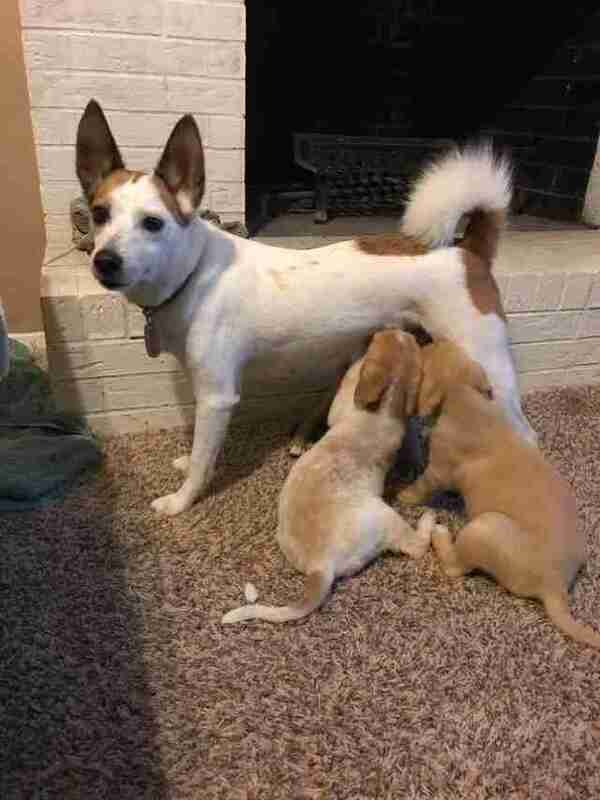 Nebula and the puppies are growing up fast, and when they’re big enough, they’ll be up for adoption. As for Pirate, Vannini wants to give her a much-needed break — after nursing and caring for nine puppies as well as Nebula, she’s bound to be exhausted. But Vannini is sure that it won’t take long before Pirate starts helping orphaned babies again. 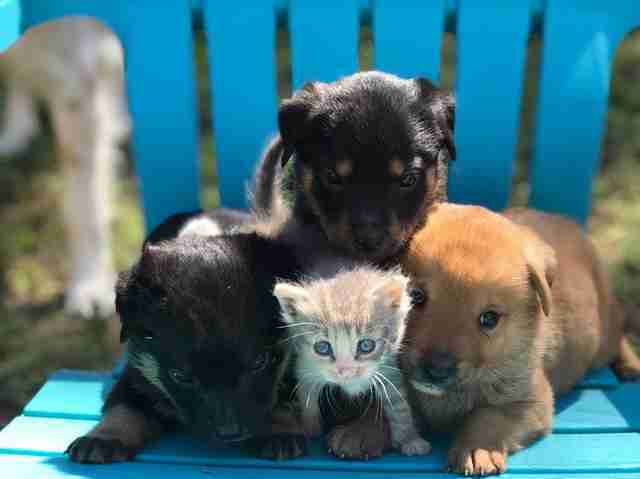 If you’re interested in adopting the puppies or Nebula, contact Dallas Animal Services and Adoption Center. You can also follow their progress on the shelter’s Facebook page.